ATLANTA—The crowd packed into the Fox Theatre auditorium and overflow rooms as well as audience watching webcasts in the Nation of Islam mosques around the country and an online audience heard a simple but vital message from the Honorable Minister Louis Farrakhan: Come out of America. Separate and be saved. “We have to deal with fear and cowardice, because we are being asked now by God to stand up for truth, stand up for justice, stand up for righteousness, and be willing to challenge lies and liars wherever they raise their head,” said the Minister. He was in Atlanta to mark the 21st anniversary of the Million Man March and to bring attention to an inspiring work underway in Atlanta aimed at recruiting 10,000 Fearless to make Black communities decent places to live. Under the direction of Abdul Sharrieff Muhammad, the Southern regional student minister for the Nation of Islam, the 10,000 Fearless headquarters located in The Bluff, one of Atlanta’s most troubled neighborhoods, community rebuilding is underway. Clean up and restoration, food and clothing giveaways, medical screening, conflict resolution and community organizing and advocacy for veterans and other suffering groups has started. God has chosen Black people out of the furnace of affliction today as he chose oppressed people in the scriptures of yesterday and nothing is going to prevent God from exercising his will, Min. Farrakhan said. With police shootings, violence, health and disease issues, a deadly lifestyle inherited from our former slave masters, inferior education, recalcitrant White anger and unresponsive and dying political system, Blacks are on the brink of extinction, warned Min. Farrakhan. Neither GOP presidential hopeful Donald J. Trump, nor Democrat Hillary Clinton will liberate Blacks or solve the country’s problems, which are tied to divine chastisement, he said. Hope in the political system and an unrealistic faith in Whites who are already hurting will not save Blacks, the Minister stressed. “We thank Allah for His intervention in the person of one that has been prophesied of, Al-Mahdi (‘The Guide’), coming out of the family of Muhammad the Prophet, peace be upon him. But my wonderful brothers and sisters who are looking for Al-Mahdi to come in the East: He came from the East, and He came among us in the West in the Person of Master Fard Muhammad to Whom praise is due forever,” said Min. Farrakhan. The man chosen for that job is the Most Honorable Elijah Muhammad, patriarch of the Nation of Islam. “We in the church pray for every time we say The Lord’s Prayer, saying: ‘Thy kingdom come, Thy will be done on earth as it in heaven. No politics can bring about the kingdom of heaven on earth,” the Minister said. This is one of the most fateful elections in U.S. history but the candidates deride one another as liars, Min. 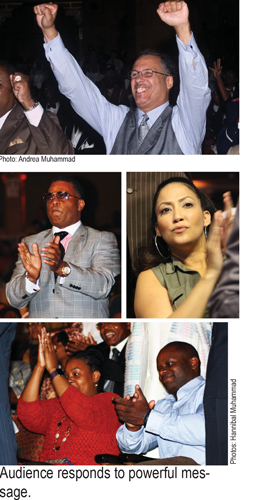 Farrakhan noted. Meanwhile Black voters are in the middle hoping for a political savior that is not coming, he said. Blacks live in a colonial status with their politics, economics, education and lives controlled by White outsiders with Black overseers—some pastors, business and political leaders—who serve at the pleasure of their virtual masters and fail to serve their own people, Min. Farrakhan observed. Those days must end and both presidential candidates will take the country into a horrendous war, despite a possible lull before the storm, said the Minister, quoting his teacher Elijah Muhammad’s warning against faith in the children of the former slave masters and national elections. State of Emergency – The Hon. 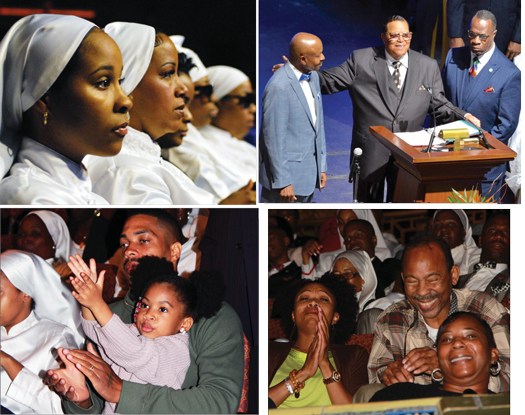 Minister Louis Farrakhan delivers warning & guidance to Black America. 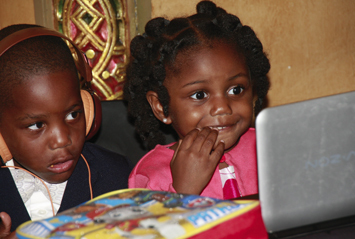 [WATCH] The Mighty Fruit Of Islam’s “Red Shirt Detail” Footage!